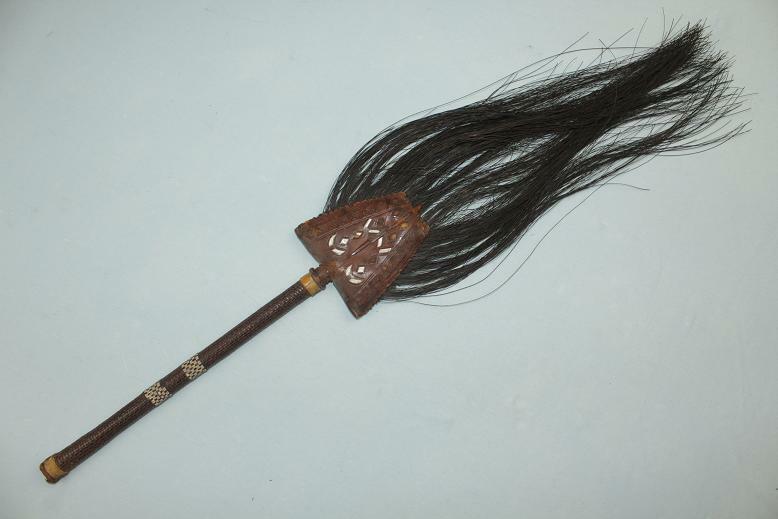 A very well made fly whisk from Africa. 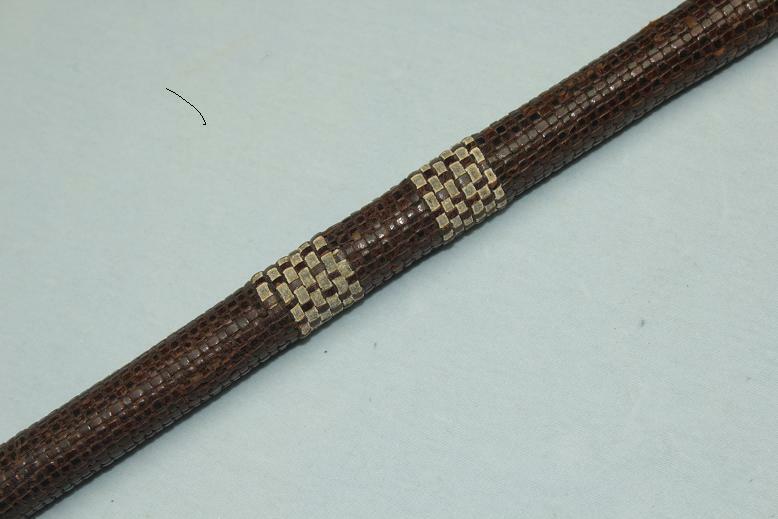 The whisk measures 77cms long overall is is made from a plaited and stitched leather over a timber core. 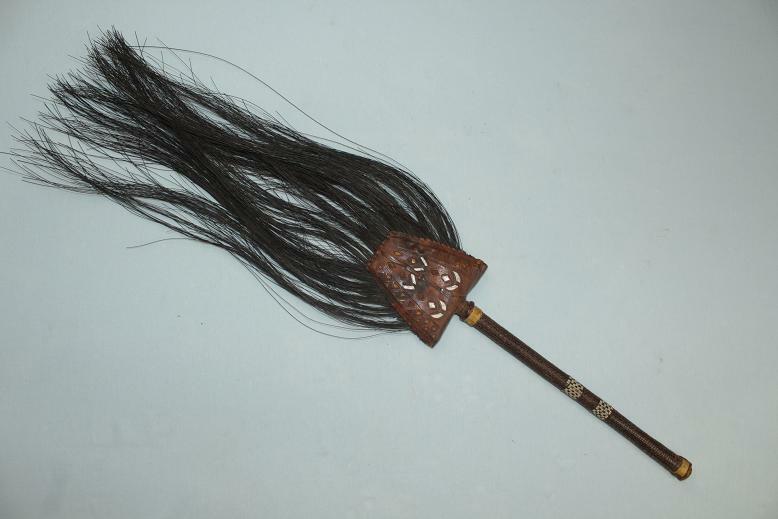 Stitched within the flat decorated leather end is the end of an Elephants tail which contains a very course type of hair approx 40cms long. The whisk remains in good condition throughout. 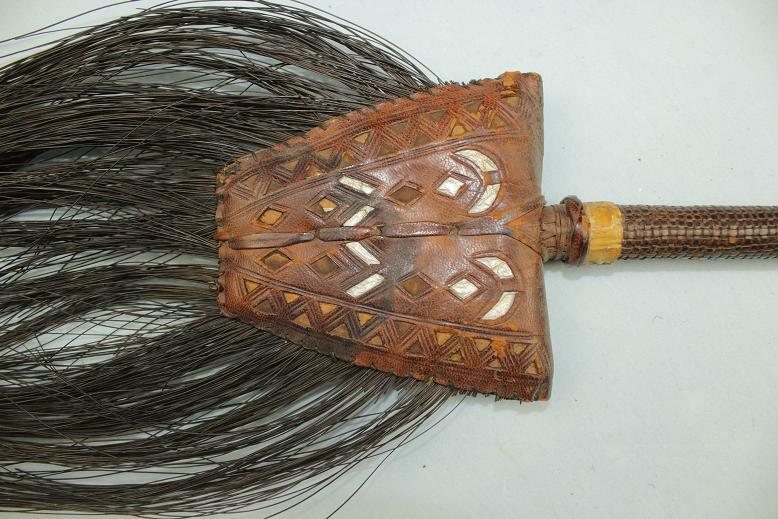 A very unusual piece of African tribal art.